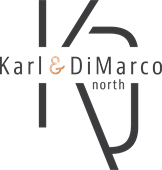 Welcome to Karl & DiMarco North! Please complete the following registration form. We are dedicated to the enjoyable task of not only teaching dance, but also to witnessing the development of the dancers mental and physical growth, coordination, poise, grace and personality. Please click on the Search button below, then choose the class. Registration fees and tuition payments are non-refundable. There will be no prorating or refunds given due to missed classes. Each student is encouraged to make up missed classes in another appropriate leveled class. You must notify the studio in writing thirty-days prior to your upcoming tuition payment. You will be responsible for the next payment if you do not give a thirty-day written notice. Please be aware that no prorating or refunds will be issued due to withdrawing from classes. K&D North will cancel classes when the school board chooses to close due to inclement weather. All business matters must be directed to our office. To voice any concerns or questions please make an appointment or a scheduled meeting with the Director or Office Manager. No Instructor is to be stopped before, after or during a dance class with questions. This takes away from scheduled classes. Under no circumstance should a parent walk into a dance class room before, during or after a dance class. It is the responsibility of the parent or adult student to be aware of all school activities, such as recitals, extra classes and dates the school is open or closed. The school will post all such notices as well as sending Newsletters via email. It is the responsibility of the parents or adult students to inform the school of any address, telephone, or email address change. The school is not responsible for providing before or after class care for the students. Students are not to be left at the school for an excessive time before or after classes. Please be prompt when picking up your child. The school is hereby granted permission to take photographs of the students to use in brochures, web sites, posters, advertisements and other promotional materials. Safety for your child is of our utmost concern. All young dancers must be escorted to and from the building. If a health condition exists which will prevent full participation, please notify K&D in writing as soon as possible, this in eluded allergies. Please notify K&D North if your child will be allowed to leave the studio with anyone other than a parent/guardian. There will be no gum permitted in the dance studios. Please do not leave any children unattended in the studio. No running, screaming, or eating in the lobby or studio. All food should be eaten in the student break room. Dancers should arrive five minutes before scheduled class time and be picked up promptly after class. Please notify the studio if you will be late picking up your dancer. If you must pick your dancer up early from class, please tell the instructor before class and the instructor will dismiss the dancer from class. Please do not disrupt the class. All students should arrive to class on time. If a student arrives late, please come in quietly to class. Students should come to class fully prepared with hair properly secured and the appropriate dance shoes. All students must follow the K&D North dress code policy. There will be no food or gum permitted inside the studios. Food must be kept in the break room only. Students must keep talking to a minimum. Teachers reserve the right to dismiss any student from class who continuously disrupts. A parent/teacher conference must take place before a "dismissed student" may return to class. Classes with less than five students may be canceled, combined, or rescheduled at K&D North's discretion. Changes to your child's schedule can be made up until January 1st. You have until February 1st to participate in the recital. (Providing that the costume for that can't is available). The school reserves the right to provide a substitute teacher if the regularly scheduled teacher is ill or otherwise unable to teach classes. If a teacher is ill and the school cannot arrange a substitute any missed classes will be made-up. No refunds or prorated tuition are given for missed classes. (Holidays/Spring Breaks that differ fromt our studio's Spring Break, sports games, etc. do not qualify for makeup classes). Registration is accepted on first come first serve basis. Classes will be closed to further enrollment once maximum capacity has been reached. Initial payment will be collected at the time of registration. Is to be paid the first of each month. It will be considered late after the 5th and a $15.00 late fee will be automatically added. Karl & DiMarco North accepts payments by credit card (Visa, MasterCard, American Express, Discover), cash and check. NO REFUNDS will be issued due to withdrawing from classes. NO REFUNDS for registration fees, tuition, recital fees or costumes, etc. A non-refundable fee of $35 per student, $60 for families with 2 students, and $75 for families with 3 students is required yearly at the time of registration. Tuition must be paid by one of the payment methods offered by K&D North. Tuition will be charged to your credit card the 1st day of each month. All charges will appear on your credit card statement as being from Karl & DiMarco North. All Tuition, registration fees, recital fees, costume fees, competition fees, recital tickets, and all fees associated with dance are non-refundable. Please select Auto Pay or Self Pay. To help defray the cost of recital expenses such as the theater rental, technicians, special effects, props, sets, etc, a non-refundable recital fee of $70 ($115/family) is due and will be deducted from your account March 15th. All families are require to purchase a minimum of 5 tickets for the recital. Costumes: Costume fee will be due on December 1st. One-month notice from the first of the month is required to discontinue any classes. If your child wishes to withdrawal you must notify the office one month in advance, or you are responsible for that month's tuition. All automatic bank debiting or credit card charges will stop after the one-month notice period.